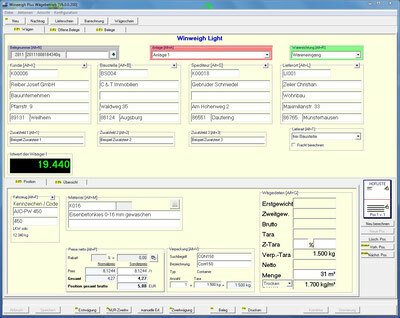 Weighing data management for simple applications »Winweigh Light«. 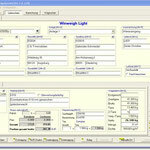 Winweigh Light is the solution for simple, daily weighing operation with many functions and user-friendly operation. 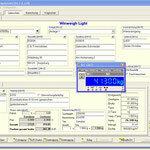 On-screen weight display with VWP virtual weighing processor in the PC as display / operating terminal and verifiable memory for weighing results, thus verifiable saving with freely definable saving period (at least 90 days) without alibi printer. 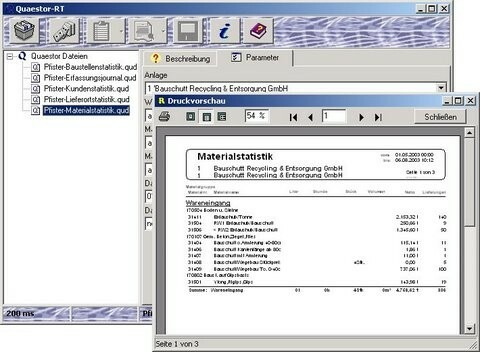 Besides the weighing program a system and master data administration program is available in the basic package. 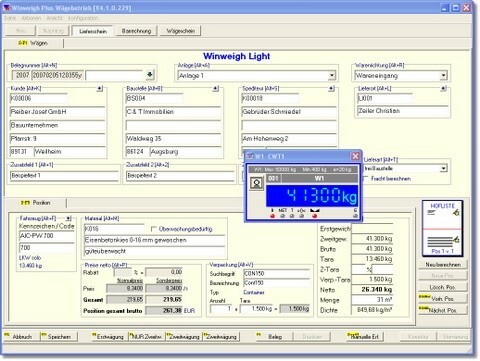 Comprehensive weighing pattern via implementation of floe technique. A floe is a single or group of entries or display fields. It may be visible or invisible on the screen mask. It is scalable in size, the weighing mask may be variably positioned. 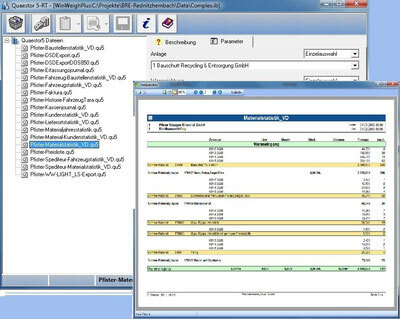 All weighing data are saved on termination of the process so that data may be evaluated at any time. Through the appropriate selection of statistics parameters, selective evaluations may be drafted. For the further processing of such data, these may be written into a file or transferred to MS Excel via the intermediate buffer. 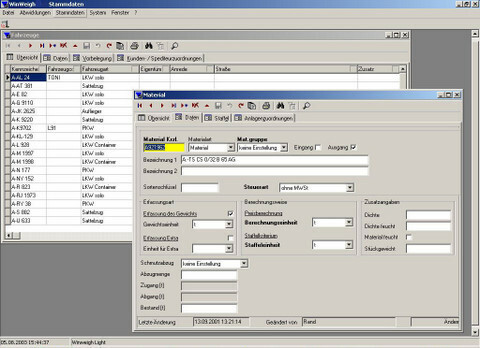 The modular concept of the new Pfister Waagen Bilanciai software packages permits problem-free subsequent updating to the more sophisticated Winweigh Plus software package. 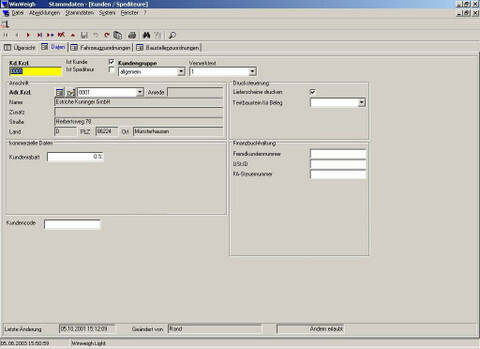 In the event of client or task-specific modifications that necessitate additional functions, upgrading to a higher standard is possible without major software modification.